MCF’s trust services enable us to seamlessly serve you and your family in a manner that is both cost-effective and efficient. We are able to serve as an investment advisor to your trust, without sacrificing protection for trust beneficiaries. Trusts have been around for centuries, but it is only in the last 30 years that families have realized their utility in planning to address a variety of estate planning issues. 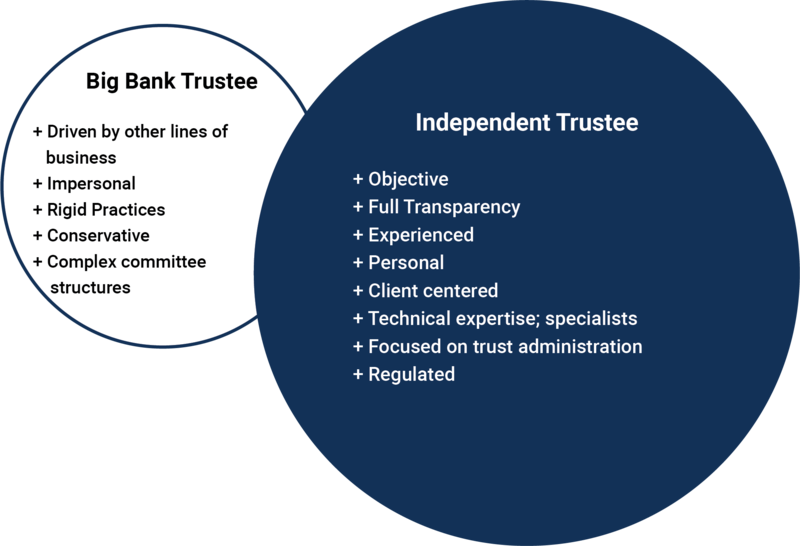 When you choose an independent trustee vs. a big bank, you can be assured that the trust will be administered with the care and attention you deserve. You’ll also ensure that you have an objective fiduciary that is focused solely on trust administration and not on its own investment objectives. Consider the advantages when you choose to work with an independent trustee vs. a big bank. See our Resources tab for additional materials and information. MCF Private Trust is a Trust Representative Office of National Advisors Trust Company.